The Mayor's Alliance for NYC Animals is running I Love NYC Pets Month. Valentine’s Day may be an empty box of chocolates by now but that doesn’t mean it’s too late to find love. I Love NYC Pets Month is in full swing with adoption events going on every day in all five boroughs. Mobile adoption vans and extended hours at Animal Care and Control are just two ways you can make a new friend for life. 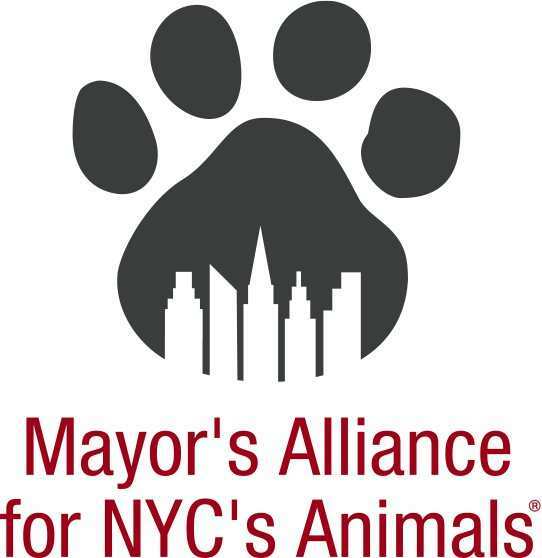 It’s the fourth year the Mayor’s Alliance for NYC Animals has run this month-long adoption campaign. And don’t worry, time pressed-fashionistas: you can get beautiful and take care of financial matters because Body Shop and TD Bank will have mobile vans outside various locations in the city. Amid the oodles of cute kittens and puppies, it’s a sure bet there will also be plenty of senior animals looking for a furever home. Joasn Antleman started Senior Pets: All They Need is Love, a sweet blog. The amazing thing about senior pets is that too many have had hard lives, either on the streets or have suffered at the hands of humans. Others lost their homes through no fault of their own. Despite this, they yearn to be loved and joyfully seize the comfort and care of a safe home with kittenish enthusiasm. They may not run around and play as much as their younger counterparts but their mellow dispositions and their curiously wise expressions will enrich your lives. Sure, some of them may have special needs — don’t people get more aches and pains as they age? However, the extra affection, comfort and kindness (yes, kindness!) will make your life so much sweeter.